checkPageIsReady() method checks page load status. if page is loaded successfully within specified time that is 25 seconds, then it will display message "Page Is loaded." in console. 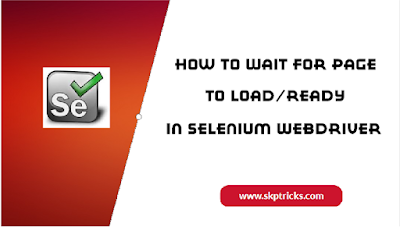 // calling checkPageIsReady() method to check page loaded status. // once page is loaded, it will click on below link. // Initially bellow given if condition will check ready state of page. // To check page ready state. 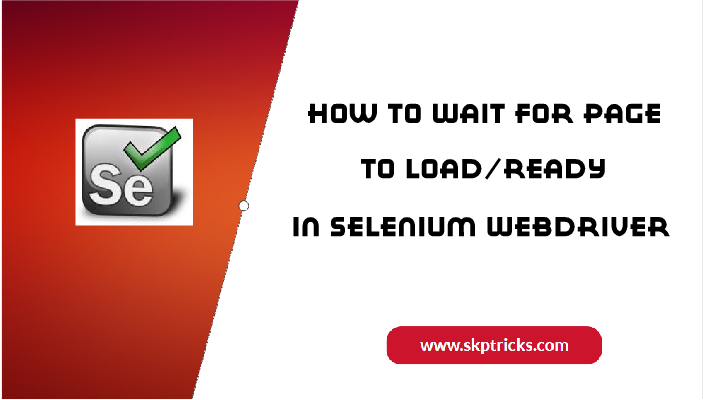 This is all about check or wait for page to load In selenium webdriver. Thank you for reading this article, and if you have any problem, have a another better useful solution about this article, please write message in the comment section.